Smirnoff 43% alcohol money off marketing. With Smirnoff, everyone’s invited. 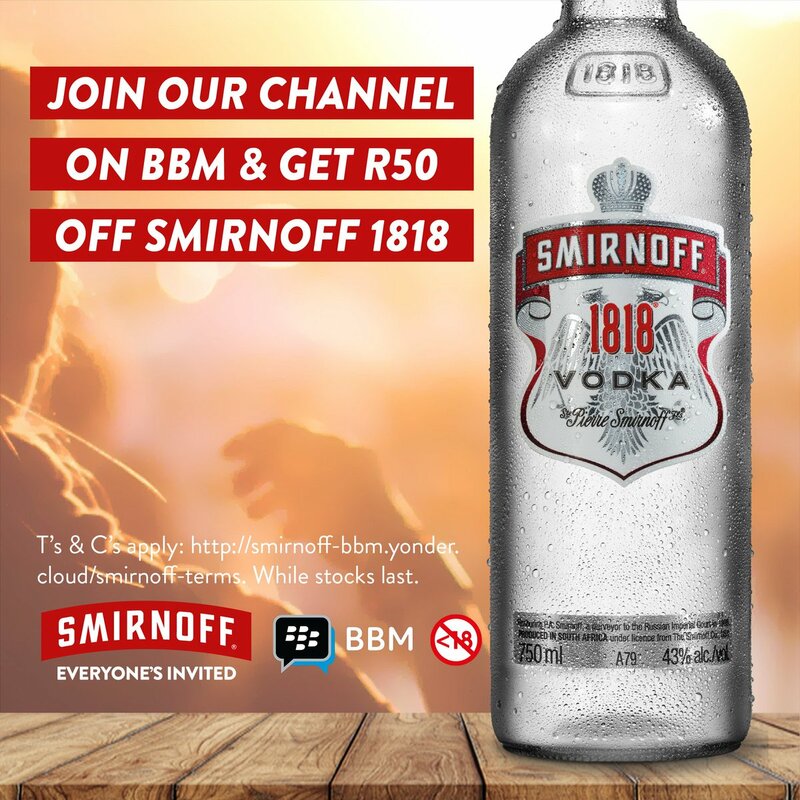 Download BBM and join our channel (Smirnoff SA) today and get R50 off Smirnoff 1818 (T’s and C’s apply!). Previous PostPrevious Bud Light Lime 8% alcohol with artificial sweeteners. Next PostNext anthony vermeersch (@anthonyvermeersch) • Stella Artois 5% alcohol.